In this sequel to “The Battle of Leila the Dog,” everybody’s favorite Gartino, Cy De Gerch, returns home to Mars after nearly losing her life and her ship. But Mars is not the home she remembers . . . and her life there is not quite her own. Afterward, Big and Rish talk about second chances and parallel timelines. With lots of irritating musical references. Be warned. Special thanks to Renee Chambliss for producing today’s story and to Starla Huchton, Dave Robison, and Renee Chambliss for lending their voices to the tale. Music was Tranches de vie by Bruno Sauty, La Colere Des Partisans, and Aurores Boreales by Jean-Pierre Saussac, and Omnipresence by Dereleech. 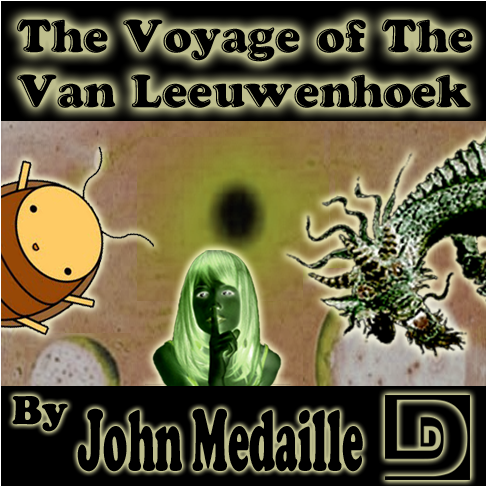 Life aboard the Van Leeuwenhoek spacecraft is tough. There’s pretty much constant war with the Venusians, not to mention the daily duties, subspace apparitions, and the difficulties with the Lunars. And then, there are the cockroaches. 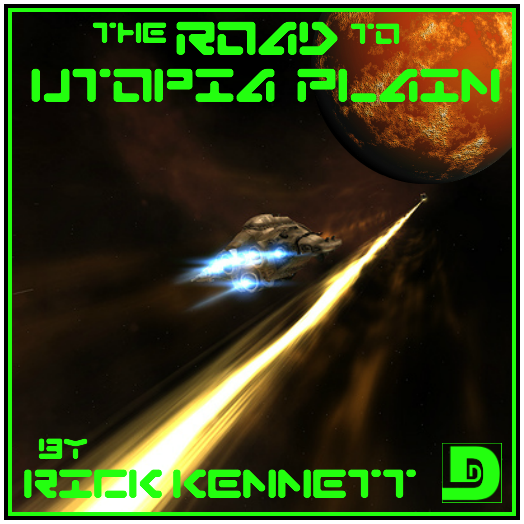 Afterward, Big and Rish ask if this story is Space Opera. What is Space Opera? Does it involve singing? Is 2001 Space Opera? What about Alien? What are the subgenres of Science Fiction? 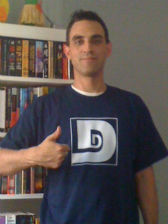 Can Rish say what he thinks of the SyFy Channel without violating his sensitivity training? Also, would R080T be better or worse if he had a different voice? Only several ways to know for sure. Please excuse the audio problems on this show. It won’t happen again…at least, we don’t think it will. 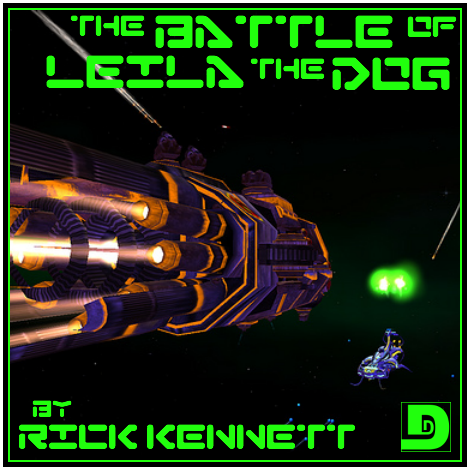 The Dunesteef Audio Fiction Magazine marks one hundred over-long episodes with “The Battle of Leila the Dog” by Rick Kennett. Cy De Gerch is being pestered by the sound of a whining dog…only dogs aren’t allowed on the bridge of a fighting space vessel in a war zone. What is going on? Afterward, Big and Rish talk about . . . oh no, not about dogs again. Ghost dogs! “Where the Red Fern Grows!” Corporal Liam Tasker! This can only end badly. And it looks like Rish Outfield has opened his big mouth one time too many. Special thanks R.E. Chambliss, Rich Girardi, and Josh Roseman for lending their voices to today’s episode. Feel free to hand them out to anyone you know, and also anyone you don’t know. Music was La Colere Des Partisans, and Aurores Boreales by Jean-Pierre Saussac, and Omnipresence by Dereleech.